We carry several trailer lighting products and trailer lighting/wiring kits to provide our customers with a full service option for wiring trailers and other towed vehicles. 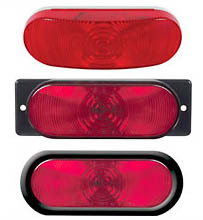 We can design a lighting kit that includes all the wiring for a towed vehicle including a bar-code or part number on the package to help their production staff identify the proper product to use in production. 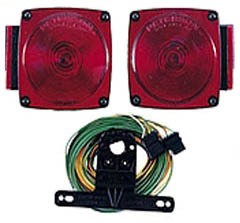 We can include a complete wire harness kit that would include the license tag, license light, marker lights, tail lights and wiring accessories to make your installation quick and easy. No more searching for all the components for a job.